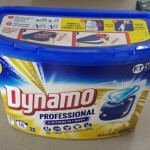 Dynamo Professional 5in1 Caps are easy and convenient to use! 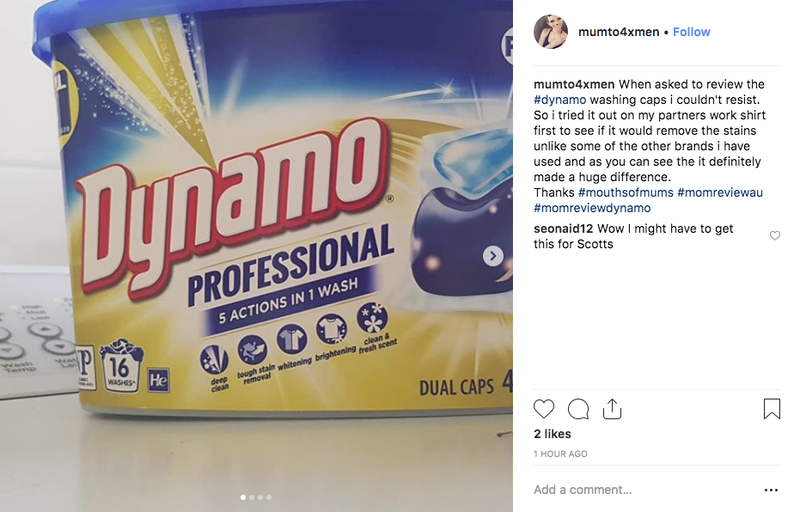 I would recommend Dynamo Professional 5in1 Caps to Mums! 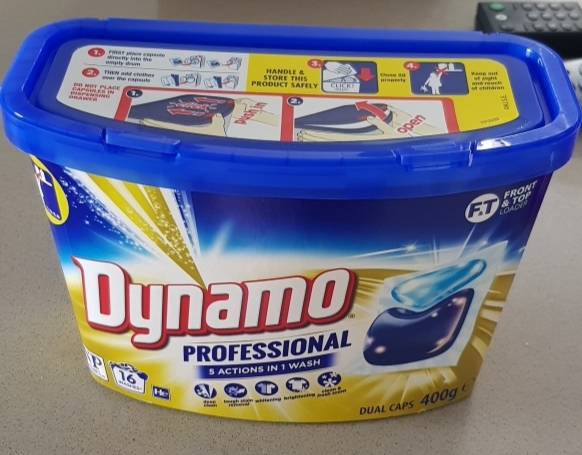 I would buy Dynamo Professional 5in1 Caps again! 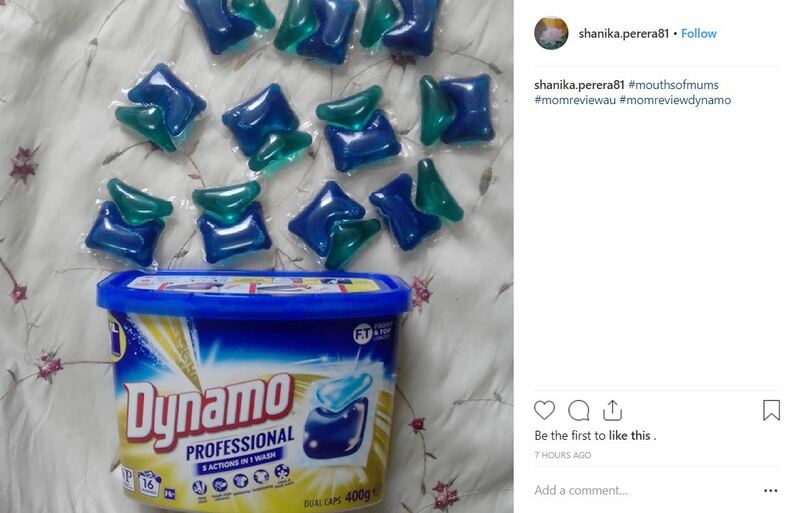 Dynamo Professional 5in1 Caps deliver a powerful clean! 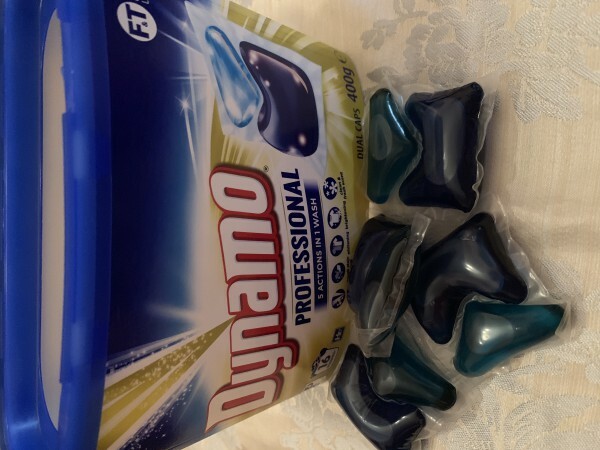 Dynamo Professional 5in1 Caps can be trusted for superior stain removal! 4.6 out of 5 based on 97 reviews. Life as a Mum is messy! Between the kids’ sports, arts and crafts and meals enjoyed, there are countless stains and wash loads to be done. Of course, Mum & Dad are often just as guilty, spilling coffee while multitasking or red wine when unwinding. With a thousand other things to get done, we know that you’re looking for unbeatable stain removal, conveniently, to boot! That’s why we are excited to introduce you to Dynamo Professional Dual Caps, conveniently delivering 5 actions in 1 wash.
How do Dynamo Professional Dual Caps work? Dynamo Professional Dual Caps are specially developed to conveniently deliver superior stain removal, even on the toughest stains (yep, we mean the toughest…just try us)! How do you use Dynamo Professional Dual Caps? 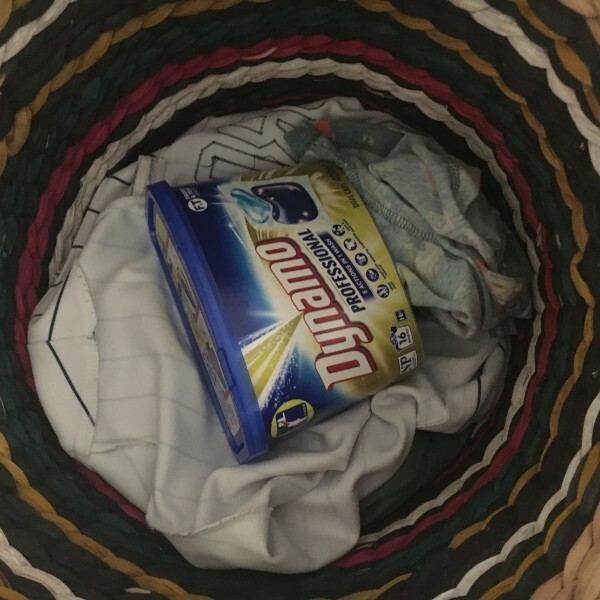 Just throw the capsule directly into the drum before you add your laundry! The capsule will dissolve immediately upon contact with water, even in cold or quick washes! 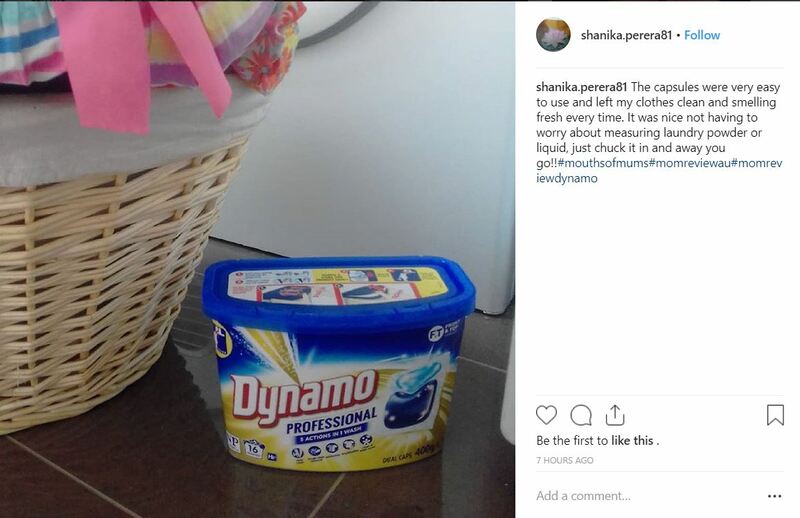 Suitable for both front & top loaders and all wash temperatures, we know you’ll thank Dynamo Professional for turning laundry from “too messy” to “too easy”! Where can I buy Dynamo Professional Dual Caps? Dynamo Professional Dual Caps are available at Woolworths, Coles, or your local IGA. Click here to find out more about Dynamo Professional Dual Caps. I was fortunate to be able to try Dynamo Dual Caps and after multiple washes over various cycles with differing colours and materials I would definitely recommend this product. An easy to use product with 16 individually wrapped packets of dual cap wash and fragrance combined. The packaging is in a slimline container with a flip top lid. The afterwash fragrance is light and pleasant leaving a freshness on the clothing. Having both wash and fragrance combined alleviates the need for extra purchases making it cost effective. I was fortunate to be given the opportunity to try Dynamo Dual Caps and after multiple washes over various cycles and differing colours of materials I can confidently recommend this product. The clothes were brighter and it removed children’s daily food stains from their cotton t-shirts. The fragrance left behind on the clothing is fresh and light leaving a pleasant air in the laundry as well. A very easy to use product that alleviates the need of requiring additional purchases. A slimline container fits simply onto a shelf with a flick open lid containing 16 individual dual cap washes ready and waiting to be used. Dynamo professional dual caps are my new best friend. These little capsules are absolutely fantastic. You simply pop them in with your load of washing and your clothes come out smelling,feeling and looking amazing. They are great quality for the price and I would definitely recommend these to anyone and everyone! These caps are so easy to use. All of our clothes came out looking clean, without stains and smelling nice! I used this when I received it and was thoroughly surprised with the results I got. I am happy and will be purchasing this product again. It did exactly as was described which I was skeptical about in the beginning but it proved me wrong. What else can I say, but try it and you will be amazed. With 3 sons and a husband who all play sport and dont smell the nicest, With stains on their clothes. This product surprised me by actually removing stains and cleaning thoroughly also had a great smell after it had been used. This was the first time I tried Dynamo Professional Dual Caps and I have been delighted with them. Even at cool temperatures, I found that they removed stubborn stains. My clothes have felt a lot fresher and cleaner. My whites especially seem particularly bright since I started using these capsules. The whole family loves the pleasant fragrance that they have. 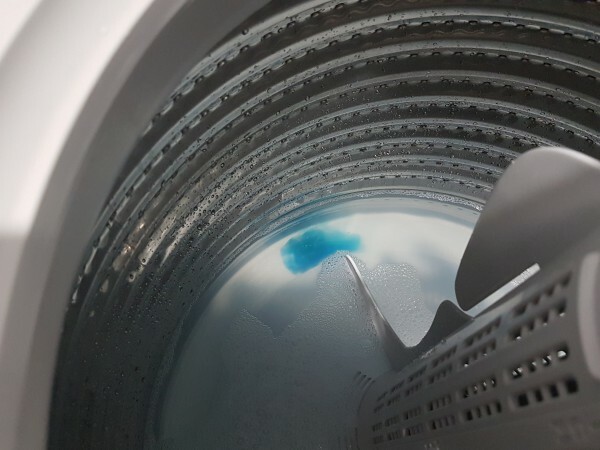 The capsules are so easy to use being placed directly in the drum with your washing. I would definitely recommend this product to other mums. I love it!!!!!!!!!!!! I tried the laundry capsules (naural products) before but I found they didn’t dissolve well so I was a bit skeptical about laundry capsules. But this product dissolves very quickly and washes my clothings very clean. I’ll definitely buy this product. I hope they sell the refill package because I don’t want to get the container every time. 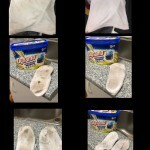 Removes stubborn smells and stains!! Dynamo Professional is fantastic in many more ways than one! As a busy mum of 2, a full time night worker an the main person to keep the household in check, saving even a little bit of time and money is a huge deal for us. The convenient easy to use capsules means we don’t have to waste time measuring how much to use and we save money as we don’t need to use excessive amounts! So easy to use even my 3 yr old put a load of washing on! My 7yr old has white shirts and socks for school so as u could imagine they aren’t white anymore! However after using dynamo Professional they are whiter and brighter than ever! My 3 yr old is currently toilet training and we have had many accidents. His clothes now smell fresh and amazing…. until his next accident lol! And my work shirt has a huge oil stain down the front and wreaks of French dressing. But dynamo once again lived up to its name and gave it a professional clean leaving my shirt looking new again! I highly recommend dynamo Professional! The Dual caps provide a fresh scent and deep cleans through the clothes and provides great stain removal, and brightens the washing. 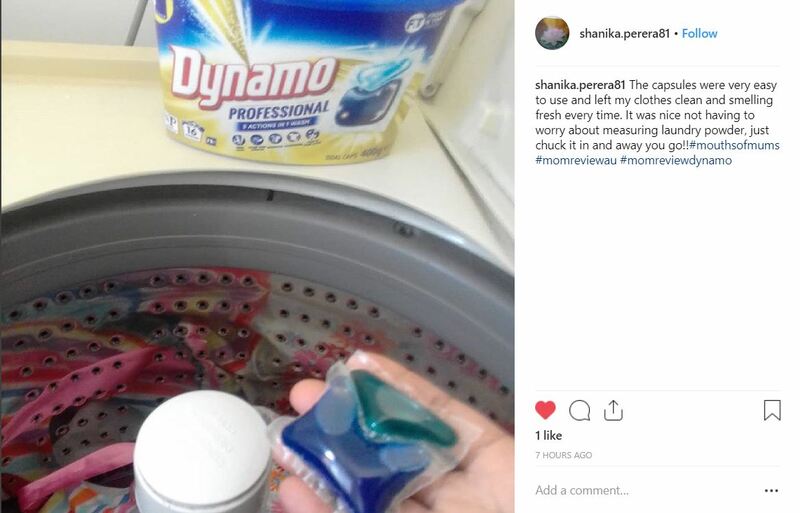 When I used the Dynamo Professional Dual Caps it provided tough stain removal, deep cleans through the washing, it whitens and brightens the clothes and provides a clean and fresh scent. First time trying them and i used them on my partners work clothes which cleaned them perfectly and left them smelling lovely. This is the first time I have used this product. I was curious to see if it worked just as well as the other brands and it’s safe to say it’s even better! 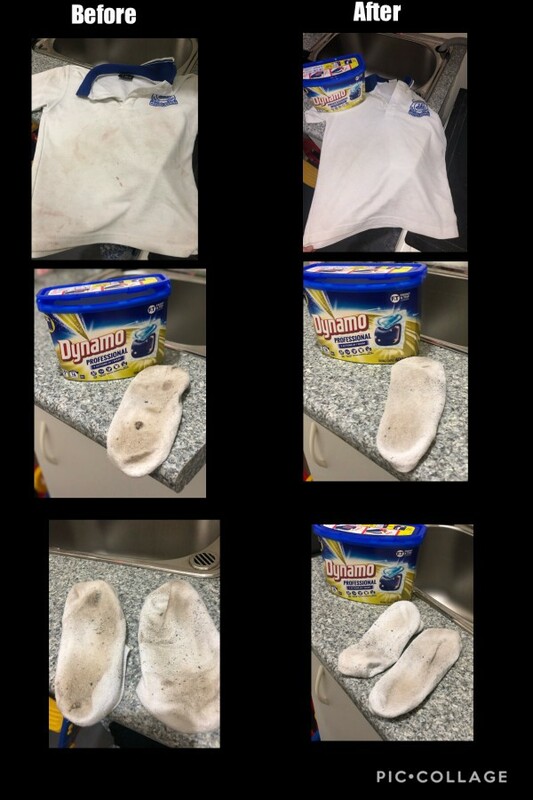 Tough on stains and leaves the clothes with a nice clean, fresh scent. I will certainly be purchasing these again. I LOVED these. Did not know if I would. The washing appeared clean and stains mostly gone. Only down fall is the price. When you live on a budget they are a bit expensive. Trusted product and delivers a perfect clean and colours are whites are brighter then ever. Highly recommend this product as it does what is says.